and one of our friendly staff will contact you within 24 hours. Providing expert freight services for over 30 years, Freight Broker Australia are one of Australia’s long-established freight companies. With a strong network of Australian transport companies, we provide our customers with deep industry knowledge, as well as access to many of Australia’s best freight companies. With a diverse range of both Australian and multi-national customers, we first work with you to understand your specific freight profile and what you are looking to achieve. Using our knowledge and experience with freight carriers, we then put together a solution using our extensive network of logistics companies. We work with our transport companies to provide you with real time track and trace capabilities, and can provide many other technology capabilities such as SMS notifications, pro-active email alerts, GPS tracking, and detailed freight company reporting. Our leading Freight Management system provides you with different freight company options based on your individual needs. Our Freight Management System can enable you to override certain freight carrier selections, or have pro active alerts if specific logistics companies are used on certain lanes. For example, for freight Melbourne to Perth, you may want to pro-actively be notified if a lower cost logistics company is available. Freight Broker Australia has extensive experience with interstate transport companies. The majority of our customers send their products interstate to multiple warehouses across the country. The freight carriers we use for these lanes encompass premium quality freight companies, as well as lower cost providers. Having access to this network ensures we are able to meet the specific requirements of each of our customers, be that a lower freight cost, or a more premium freight service. For example, companies which freight Melbourne to Perth are often faced with larger freight costs. Some companies even run Western Australian lanes at a loss given national contracts and the need to service. We have extensive experience in helping these companies to better manage their overall freight spend, particularly the East Coast to Perth freight lanes. Each capital city and regional centre has carriers that will service that area better than anyone else. With 30 years experience we know who to use where, and when. As an example, some logistics companies can pick up freight before 10am and have it delivered that afternoon within the same city. 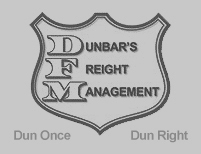 This provides a great Business to Business freight experience. With our deep network across freight carriers, we enable our customers to have the best local and interstate transport companies to fit their specific needs. Our business is a fast growing product distribution business. 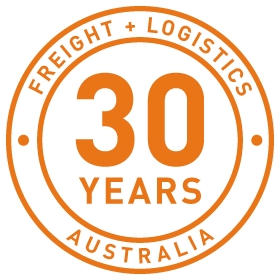 Freight Broker Australia have been an integral part of our growth over the last few years.